According to IEEE Spectrum, documents filed to the U.S. Federal Communications Commission indicate that new efforts toward Google’s prototype autonomous cars include the testing of several wireless charging systems for the vehicles in California. The systems come from two companies that specialize in creating charging plates for vehicles, Hevo Power and Momentum Dynamics. Documents show that in the first half of 2015, the FCC gave both companies permission to install experimental chargers at Google’s Mountain View, California headquarters. IEEE Spectrum reports that Google engineers now have multiple Momentum Dynamics chargers at both headquarters and the former U.S. Air Force base, the Castle Commerce Center, where Google tests the cars. ... companies like Qualcomm have variously suggested over the years that wireless chargers could someday be embedded in public roadways, enabling cars to stay charged even as they drive. And while roadway charging could be a future goal—for more than just Google cars—IEEE Spectrum reports that both charging companies declined to confirm their potential work on the Google-car project. 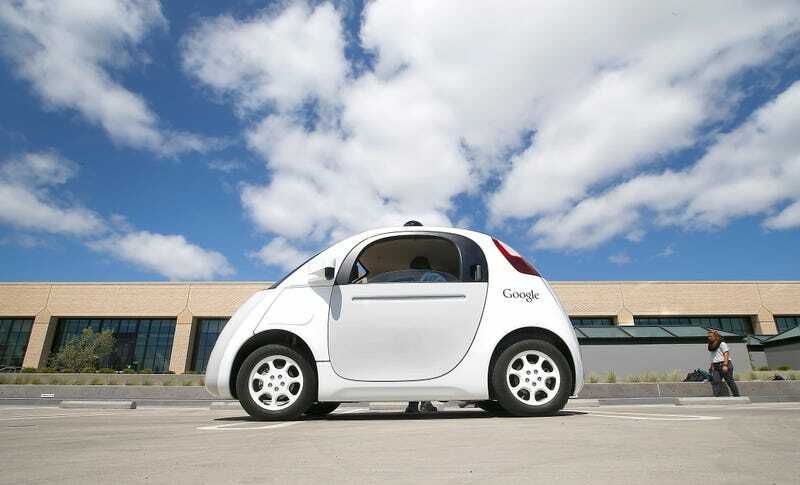 Google dodged the question as well, adding that it tests a lot of technologies for its driverless cars. Whatever the future may be, at least we can bet that it won’t be disappointing.